Dr. Sward earned a bachelor's and master's degrees from the University of Central Florida, and her Ed.S. and Ph.D. in Science Education from Florida Institute of Technology. 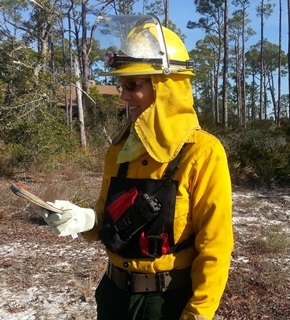 She has over 13 years experience teaching Ecology, Environmental Science, Biology and Marine Science at Winter Park High School, where she served as Science Department Chairperson. She is a co-author of the textbook The Everglades Case Study: An Extended Case Study for the Investigation of a Threatened Watershed and Ecosystem. Dr. Sward has received several awards for her teaching, including a Disney 1998 Teacherrific high school program award and Valencia Community College's Award for Excellence in Teaching 2000-01, the Outstanding Contribution to Learning Award 2006 for her work with the Cooperative Learning Community and the 2013 John & Suanne Roueche Excellence Award. She has been with Valencia since August 1999. Contact me via email for current term office hours.